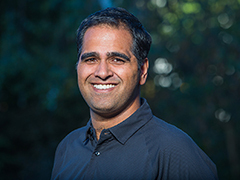 Sumit Kumar is the President & CEO of Vecima Networks. With significant technical and executive experience, Sumit worked in Vecima’s R&D department on the architecture and development of EdgeQAM and WiMax products as well as within the business development and senior management groups since joining Vecima in 1995. Sumit works closely with the senior management team and the Board of Directors to develop and execute the overall strategy for the Company. He holds a Bachelor of Electrical Engineering degree and a Bachelor of Computer Science degree from the University of Saskatchewan. John Hanna is the CFO of Vecima, joining the company in 2010. John works closely with Sumit and the Board of Directors as a key member of the leadership team. 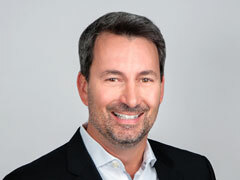 With over 20 years of experience, John was an executive with iFire Technology, a developer of a low cost flat panel displays, and held senior roles with The Westaim Corporation where he participated in a variety of corporate M&A transactions including the investment in and sale of a number of businesses. 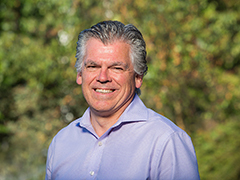 John holds an MBA in Finance & Strategy from the University of British Columbia, a BSc in Biology from the University of Victoria and is also a CPA, CGA. 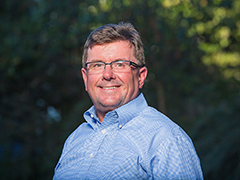 Dean Rockwell is Senior Vice President and General Manager, Concurrent, joining Vecima in January of 2014. With over twenty nine years of experience leading successful technology-intensive businesses around the world, Dean was most recently CEO of In Motion Technology. During his career he has worked extensively internationally and held roles including c-level, general management, business and strategy development, direct sales & sales management, product management, product development and operations. Dean spent over twenty years as a senior executive with Scientific-Atlanta as Vice President and General Manager of the Headend Systems and Satellite Television Distribution Networks businesses. Clay McCreery is the Chief Revenue Officer, joining Vecima when they acquired Concurrent Technology Inc. in December 2017. Prior to the acquisition, Clay served as the Chief Revenue Officer at Concurrent Technology since April 2015. Clay previously served at ARRIS Group (NASDAQ: ARRS), where he held the position of Senior Vice President of North American Regional Cable and managed revenue nearing $1 billion annually.Prior to ARRIS, Clay held leadership positions at C-COR (acquired by ARRS) and Highspeed Communications. David Hobb is the Vice President of Operations, joining Vecima in April of 2017. David has over twenty years experience in Product Development and Global Operations and has led teams to introduce over one hundred new products into manufacturing for companies ranging from start-ups to larger companies such as Glen Dimplex and SMART Technologies. David is named in several patents for consumer products and, prior to joining Vecima, most recently completed a 3 year business process transformation project for a private equity held manufacturing company. David holds a Bachelor of Mechanical Engineering degree from Newcastle University. 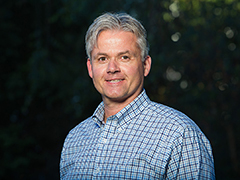 Laird Froese is the Senior Vice President of Research & Development, joining Vecima in 1997. Within Vecima he has held several leadership positions and has been directly responsible for numerous major projects. Laird’s strong background in project management, employee management, and software development has ideally positioned him to lead Vecima’s industry leading Research & Development team. Laird is a graduate of the University of Saskatchewan, with a Bachelor of Commerce in Computational Science. Mark Briggs is the Senior Vice President of Cable Sales. He joined Vecima in 2007, as a part of the acquisition of Spectrum Signal Processing (a Vecima entity). With Spectrum, Mark held VP positions in Marketing, Sales and Business Development. 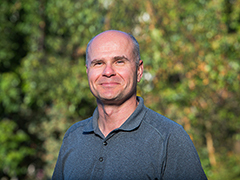 Prior to this, Mark was the Director of Switch Products in the Wireless Messaging Group for Glenayre Inc. Mark started his career as a software designer at Bell-Northern Research. Mark received a Bachelor’s degree in Electrical Engineering from McMaster University and a Master of Business Administration from the University of British Columbia. He has been a licensed professional engineer since 1991. Richard Blenkinsop is the Senior Vice President of Business Development, joining Vecima in 1993. Over time, he has directed many aspects of the company’s technical sales and marketing initiatives while also remaining heavily involved with production test, quality assurance, and production management. Richard’s engineering background, in CATV plant distribution design and cable television system installation coupled with his management and sales skills have resulted in his ability to effectively relate the market suitability of Vecima Networks products. 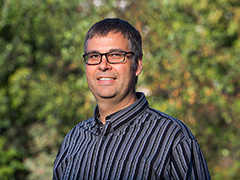 Richard received his Bachelor of Engineering degree in Electrical Engineering from the University of Saskatchewan in 1992. 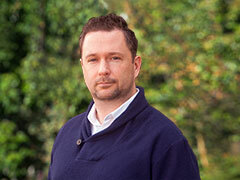 Colin Howlett is the Vice President of Architecture, joining Vecima in 1997. He is responsible for defining the overall technology strategy at Vecima and leads a group of product architects who work directly with customers to define the next generation of Vecima products. 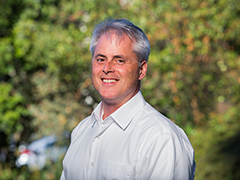 Colin has been an active participant in industry standards development within CableLabs and the WiMAX Forum, and is currently actively involved in DOCSIS 3.1 initiatives at CableLabs. He holds multiple patents related to his work in cable broadband access systems at Vecima. 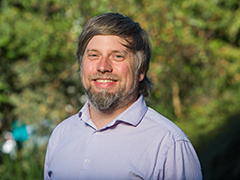 Colin holds a Bachelor of Electrical Engineering degree and a Bachelor of Computer Science degree from the University of Saskatchewan. Lindsay Ryerson is the Vice President and General Manager for the Telematics Segment of Vecima, joining Vecima when they acquired Contigo Systems in March 2016. Prior to the acquisition, Lindsay had been the CEO at Contigo Systems Inc. since 2013. He is experienced in growing companies, having previously taken a division of a publicly held company, NII Norsat International, from $3½ million to $35 M over a period of 5 years. He also led the video product management group for Honeywell Security, a division of the $35 billion Fortune 50 company, Honeywell Inc.
Lindsay holds a Bachelor of Science in Engineering from the University of New Brunswick and an MBA from the University of British Columbia. Peter Torn is the General Counsel and Corporate Secretary, joining Vecima in July of 2016. As a securities and corporate commercial lawyer, he has 20 years’ experience advising companies in Europe, Asia and the US. Peter has been involved in a wide range of corporate and securities matters, including mergers and acquisitions, takeovers, corporate reorganizations, joint ventures, cross-border transactions, stock exchange listings, initial public offerings, public and private financings, and securities regulatory issues. 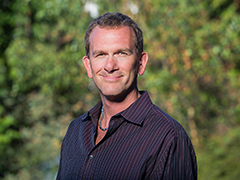 Peter has a MBA and LLB from the University of British Columbia and is a current member of the British Columbia Law Society.